This entry was posted on January 14, 2019 by Van Rental. Volkswagen and Vauxhall have both announced details of new van models in recent days. I’d expect at least some of these to become popular choices with the van rental companies featured in our van hire price comparison results, so I thought I’d run through the new models briefly to introduce them. Volkswagen’s Engineered to Go range of off-the-shelf van conversions are available to order directly from the firm’s standard price list. 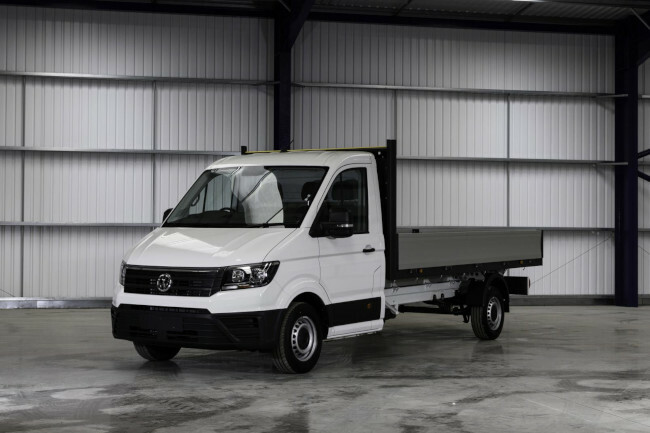 This avoids the need for buyers to order a chassis cab model from VW and then arrange for a converter to add an aftermarket body conversion to the van. The convenience of this approach is obvious and most of the big van manufacturers now offer similar services. VW’s range of conversions by specialist Ingimex has recently been revamped following the introduction of the all-new Crafter in 2017. In due course, additional models will be available, including fridge/freezer conversions and minibuses. Here’s some more information about each of the new conversions. The Luton body benefits from a unique four-tier load restraint system that can be used for deck lashing, standard load lock lashing or with an optional Ingimex telescopic load pole. This 3.5t conversion is available as a single cab only. 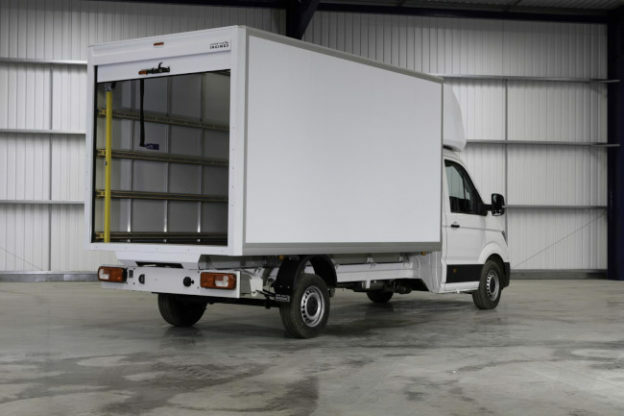 The dropside conversion can be ordered in single or double cab specification. The dropside itself comes prepared for the addition of fall arrest rails or tail lifts. 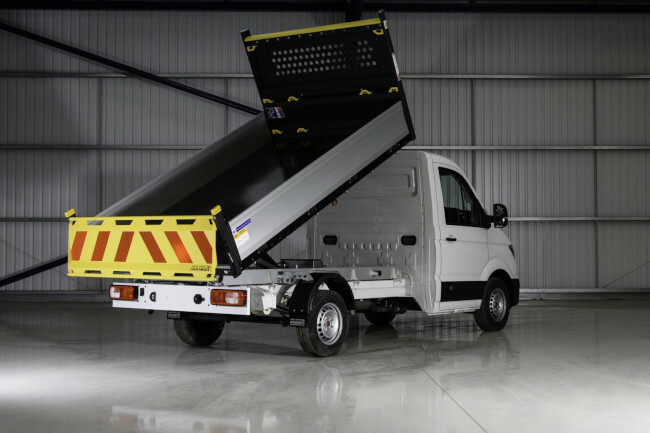 The Crafter Tipper conversion is also available as a single or double cab model. Tipping functions can be controlled with a wander lead, improving safety and visibility for the operator when tipping. 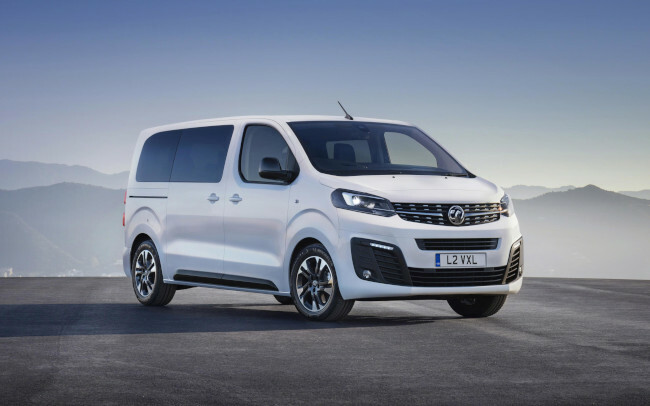 The new Vauxhall Vivaro Life MPV gives us a clear idea of how the next-generation Vivaro van will look. Back in April last year, I reported that the Vauxhall Vivaro plant at Luton had secured an investment package from new owners PSA Group that would see the factory upgraded to produce the next-generation Vivaro van. At the same time, the plant’s production capacity would be upgraded from 60,000 to 100,000 vehicles per year by mid-2019. This image from Vauxhall shows us the first results of this substantial investment in British manufacturing. The Vivaro Life is the first variant of the new Vivaro range and is an MPV model which will seat up to nine people. Vivaro Life will have a single wheelbase but be available in two lengths, 4.95m and 5.3m. This will increase the MPV’s ability to compete with models such as the Transporter and Vito. It will also be available in a wide range of trim levels. Buyers looking for an executive shuttle will be able to choose from four, seven or eight leather-covered seats. Those wanting an urban workhorse or minicab can opt for five, six, eight or nine cloth-covered seats. In either case, the driver-focused specification promises to be generous and include a wide range of systems to boost safety and driver comfort. A 100% electric model will be launched in “early 2021”. The Vivaro Life will be premiered at the Brussels Motor Show on 18 January 2019. UK dealer order books will open in February.